In a year which shattered our concept of reality, these episodes put the pieces together. In an age when people are far too used to blasting through entire seasons (or series) in a weekend, it’s a pleasure to celebrate the concept of the great episode: a concise bite of storytelling that functions as its own narrative as well as a part of a larger whole. Last year’s list was 25 episodes, but expanding this list to 30 became necessary given the incredible scope of television to be considered — across all platforms, there was too much to celebrate. 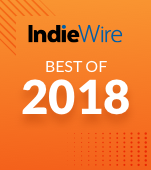 Some of the series below represent the year’s most significant programs, while others may not have made IndieWire’s best-of lists, but deserved recognition for what they achieved within individual installments. From soul-deep despair to giggle-inducing joy, the range of TV in 2018 covered all corners of the human existence. IndieWire’s picks for the best episodes of the year are an eclectic bunch, but what they have in common is this: great stories, told well. An enthralling 20-minute narrative can stick with you far longer than your average full season. When boiled down to this core parameter, length doesn’t matter any more. Some great shows have a tipping point: They suddenly go from being a fun time to something truly special, and there’s no question that the weirdest and most delightful of the CW’s DC spinoffs arrived at this juncture toward the end of its third season. In the cold open of “Guest Starring John Noble,” a college-aged Barack Obama is working away in his dorm room, when he’s attacked by a super-intelligent time-traveling giant gorilla. To be clear: This really happened on a broadcast network television show in the year 2018.